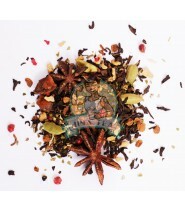 Discover all our teas containing star anise! The badian is mainly used for its virtues concerning the digestion, thus in Asia in particular, it is used since centuries in medicine. Here you will find all our teas with badian composition!